Cycling to work can sometimes be one of those ideas that sounds better in theory than in practice. It’s popular for several reasons: it’s great exercise, it’s cheap and it cuts down on travel time, especially during rush-hour. But cyclists are also a vulnerable category of road user. Every year there are several cycling/biking fatalities on Irish roads and countless collisions involving cyclists. Figure out the most succinct route to your workplace. Mapping services like Google Maps allow you to type in your origin and destination to offer a rough estimate on how long it’ll take you to get from point-to-point on your bike. Make sure your bike has a basket to haul all of your gear, or consider wearing a backpack stuffed with your stuff, too. The Road Safety Authority Ireland says cyclists should wear a helmet at all times. According to the Road Safety Authority Ireland, a helmet that’s properly fitted can reduce the risk of head injury by 85 percent, and the risk of brain injury by up to 88 percent. Read more about the Cycling Rules by Road Safety Authority. It’s important that others who are sharing the road can see you. 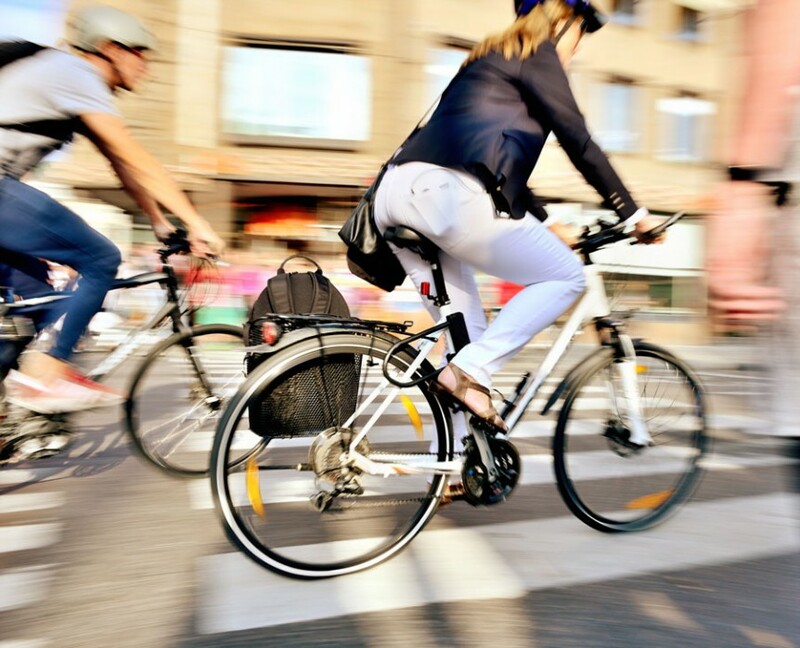 Men’s Health recommends to wear bright, reflective clothing, along with mounting a white light on the front of your bike and a red light on the back. Honestly, it may be inevitable. But this piece in LifeHacker offers some solid tips, including avoiding biking on overly humid days and riding slower than you think you should. “It’s common to sweat the hardest immediately following the completion of your ride,” the author points out, suggesting to take a few laps before heading into work to cool down your body temperature.